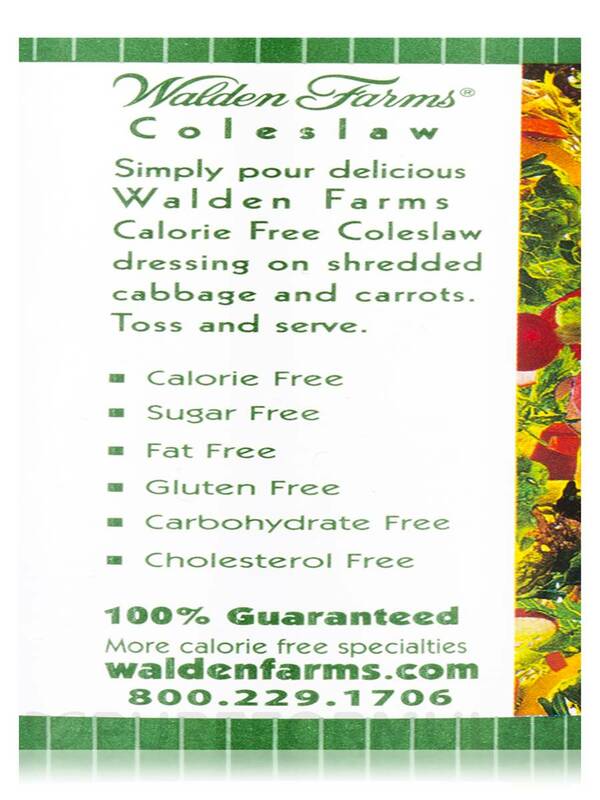 I love coleslaw & I love ColeSlaw Dressing by Walden Farms! 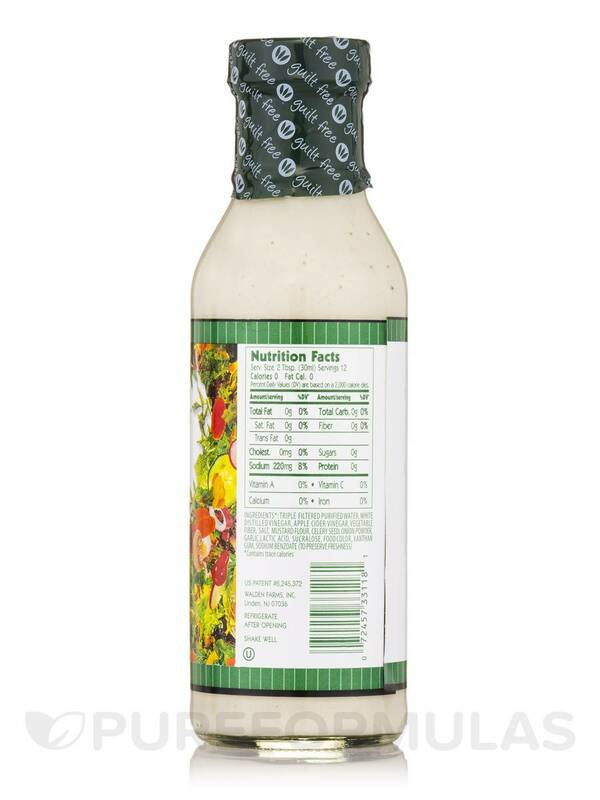 I don’t miss the normal salad dressings after tasting this. 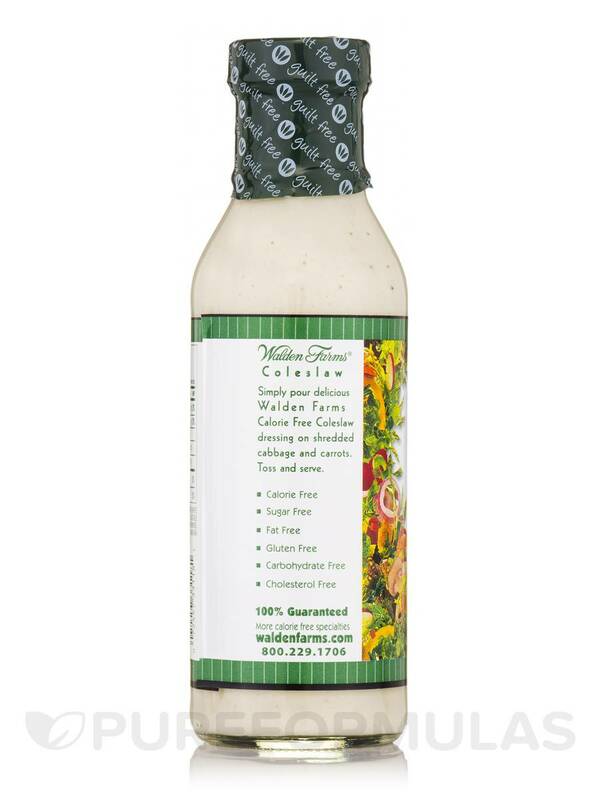 We add just a bit of horseradish sauce to Coleslaw Dressing by Walden Farms & it's pretty good. 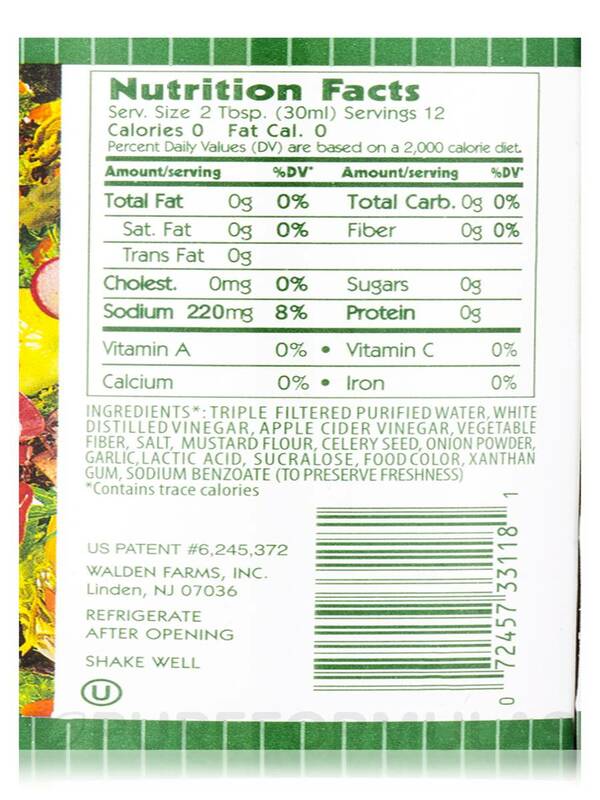 Ingredients*: Triple filtered purified water‚ white vinegar‚ cellulose fiber‚ salt‚ mustard flour‚ onion powder‚ garlic powder‚ lactic acid‚ sucralose (splenda)‚ food color (made from fruit or vegetables)‚ sodium benzoate (to preserve freshness). 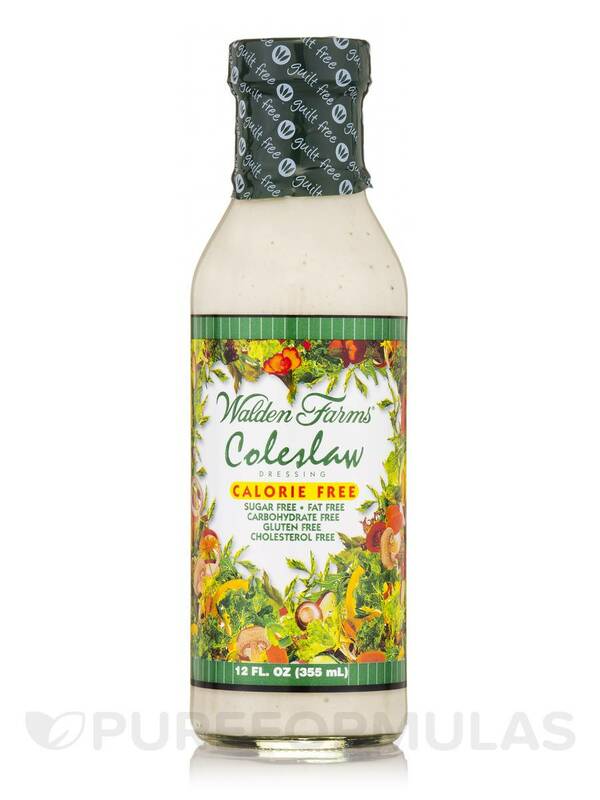 I used Coleslaw Dressing by Walden Farms and it was pretty good, maybe a little to sweet but I added rice wine vinegar to tone it down a bit. Not bad for cal/carb/fat free. Calorie, carb & fat free.